Our fourth class at Boston Ayurveda School begins this Friday March 15. This course meets once each month for six months. 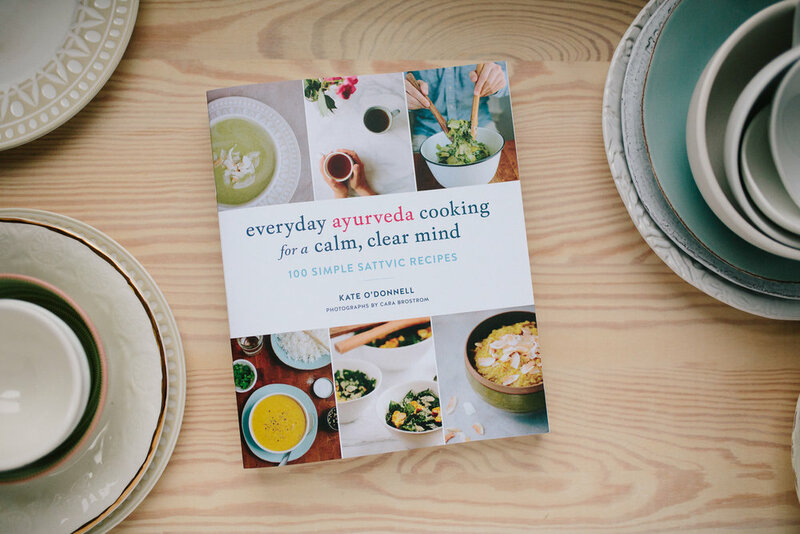 We learn Ayurvedic theory, practice yoga, cooking, and create community that supports a healthy lifestyle. This 165-hr program is also the start of an Ayurvedic Health Counselor professional track, which requires an additional 500 hours. We are happy to be offering a professional training as well as continuing mentorship for our graduates. If you get started this March, you will have the option to continue on this fall, or next year. You know I usually travel out to India in the winters, but there were a few years recently where I wintered through in Boston to see what its all about. When I kept eating the cookies, I had a harder time adjusting to the damp spring, experienced more mucous, a more sensitive immune system, and ended up catching a cold that caused me to finally give up the cookies anyhow. It could have been smoother! The following year, I watched for the change in my appetite, which did come very early in March (earlier than I expected it to, I remember). You will notice it does go with the weather, when it warms up the appetite goes down. If you eat according to appetite when this happens- rather than sticking with the food routines which have been serving you through the winter- your body will naturally burn off winter weight and mucous, and you will have an easier transition, and enjoy better health.